Have you ever felt like your life was on pause? BUT in the same breath, everything was still playing… The cameras were rolling, everyone was hurriedly moving about doing “stuff”. Then there’s you. Just there. Time was moving forward, friends were moving forward (some drastically backwards), but your life as you knew it, was at a standstill. And whatever stops. Tends to deteriorate. Something usually instigates it. Maybe it was a setback, a decision made or to be made, a transition, bereavement or even a discovery of something. Everything was going on. I would wake up, go to work, go to church, go to sleep, see the normal people. But I was paused. And the crazy thing is hardly anybody ever knows what’s happening to you. Personality combined with normal adherence to social norms usually helps to give off the impression that everything is ok. When it’s not. But in reality there is no forward movement. We’re in a state of flux – waiting for something to happen. BUT! 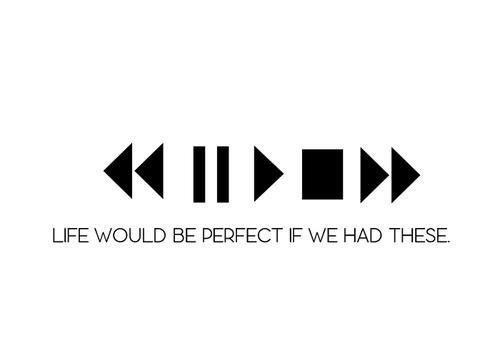 If you’re on pause. It’s time to get off it! If you’re struggling – the below are some of the things that helped/are helping me. 1. Get a couple of trustworthy friends on side. Get them involved in your movements and they will help you get back up to speed. 2. Identify if there is a particular reason you’re on pause and get help to deal with the issue. 3. Think about all the time you’ve wasted to date – instantly feel sad about everything you could have achieved and didn’t. Use this feeling of sadness to get back to normal! (Joking – don’t feel too sad. Rather feel determined to make up for lost time). 4. Start doing at least one of your ‘things’ you stopped, that will help kick-start all your other niceties. In my life pause. A lot of things happened, some nice and others not so nice. Example – I managed to completely tear my Anterior Cruciate Ligament (ACL) playing football. Not so nice, in fact it was extremely painful. However being unable to use your left leg properly does get you thinking about A LOT of things. So many conversations, musings and observations for us all to talk about! Previous Post Have you had your Quarter of a Century Panic yet? I agree totally. Great post! Ifey! One of the trustworthy friends I referred to. Thanks for helping me to press play.